WASHINGTON (Reuters) - U.S. 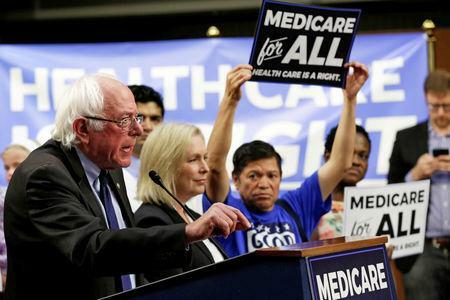 Senator Bernie Sanders on Tuesday said he is hiring a well-known liberal journalist with a history of sharply criticizing other Democratic presidential candidates, including Beto O'Rourke. The move could stoke tensions within the Democratic field since Sirota has previously targeted O'Rourke, the former U.S. congressman from Texas who entered the presidential race last week, and other rivals. "A supporter of Bernie Sanders attacking a Democrat," Tanden tweeted. "This is seriously dangerous. We know Trump is in the White House and attacking Dems is doing Trump's bidding." Asked for comment, Sanders campaign spokeswoman Sarah Ford cited a HuffPost story last month about an email Sanders sent to campaign surrogates, asking them to "engage respectfully with our Democratic opponents ― talking about the issues we are fighting for, not about personalities or past grievances." An article Sirota wrote in 2013 for the liberal news website Salon praising the economic record of Hugo Chavez, Venezuela’s late socialist president, also attracted criticism on social media from Sanders' Democratic Party critics and conservatives alike. 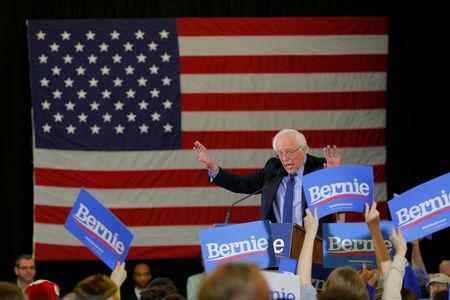 Sanders recently refused to label Venezuela's current president, Nicolas Maduro, a dictator or recognize the opposition leader, Juan Guaido, as the country's rightful leader - the current U.S. position.